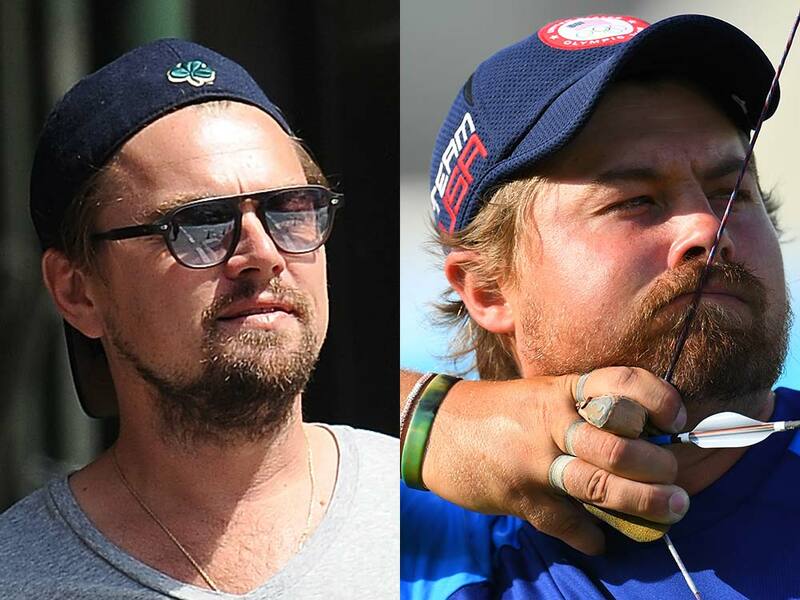 Viewers were left wondering whether Leo was in Rio when American Olympic archer Brady Ellison took centre stage, competing in the men’s team archery event. Despite taking home a silver medal alongside his teammates, Twitter users were more concerned with pointing out the similarities than congratulating him. Poor Brady. Adam Peaty secured Team GB’s first gold medal of the Games thanks to an amazing performance in breaststroke. Smashing his own previous record-holding time, the 21 year old bossed the men’s 100 breaststroke in 57.13s to introduce a new world record. Meanwhile, Jazmin Carlin picked up a silver medal in the Women’s 400m freestyle in a victory which meant a lot to the swimmer – Carlin came close to quitting the sport after failing to qualify for the 2012 Games. We’re pretty happy she didn’t. Turns out Adam Peaty has a VERY proud grandmother. 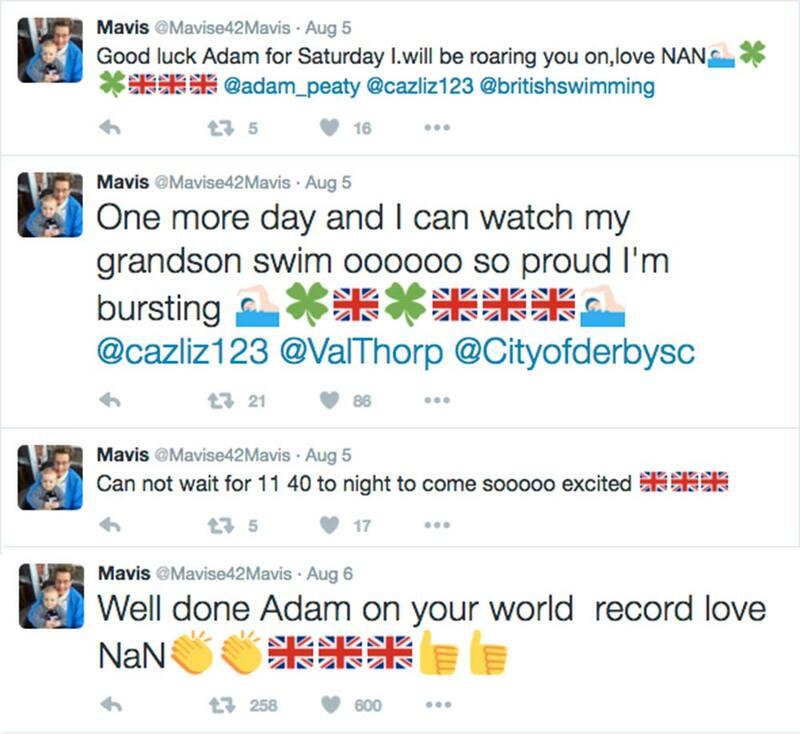 74-year-old Mavis Williams took to twitter to tell everyone just how happy she was about her grandson’s achievement, showing off some pretty impressive emoji use in her series of tweets. As well as supporting her grandson, Mavis also tweeted a thank you to her window cleaner who put up union jack bunting around her house to get ready for the Games. In fact, her ridiculously cute tweets have spawned the hashtag #OlympicNan. Too cute. Proving himself to be a aquatic rockstar, Michael Phelps won his 21st gold medal this week as part of the 4x100m freestyle replay team. Having now won 24 medals in total, Phelps holds the impressive record for being the most decorated Olympian of all time. This all comes after a whirlwind found years for the Olympian. 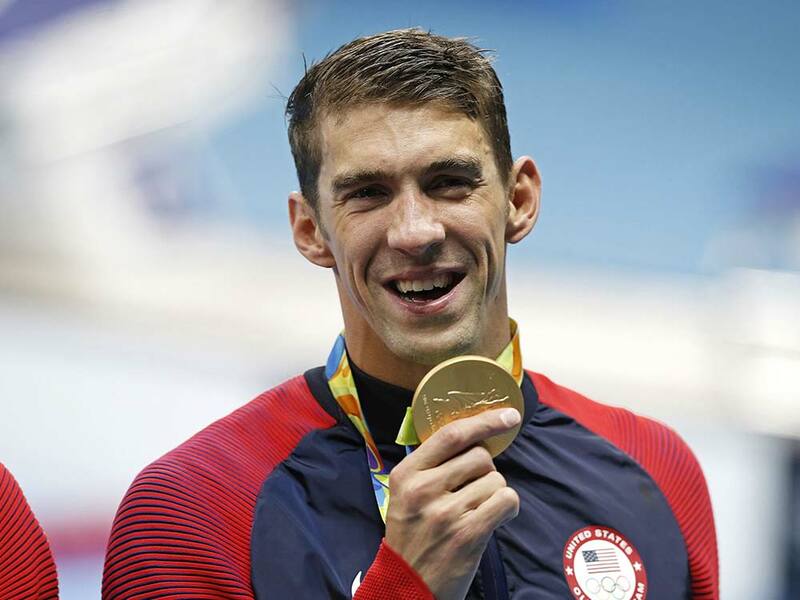 Despite announcing his retirement after London 2012, Phelps has since come out of retirement, been arrested for drink driving, done a stint at rehab, had a son and reconciled with his own estranged father. Feeling like your own job is a total joke? Spare a thought for the lifeguards at Rio 2016. 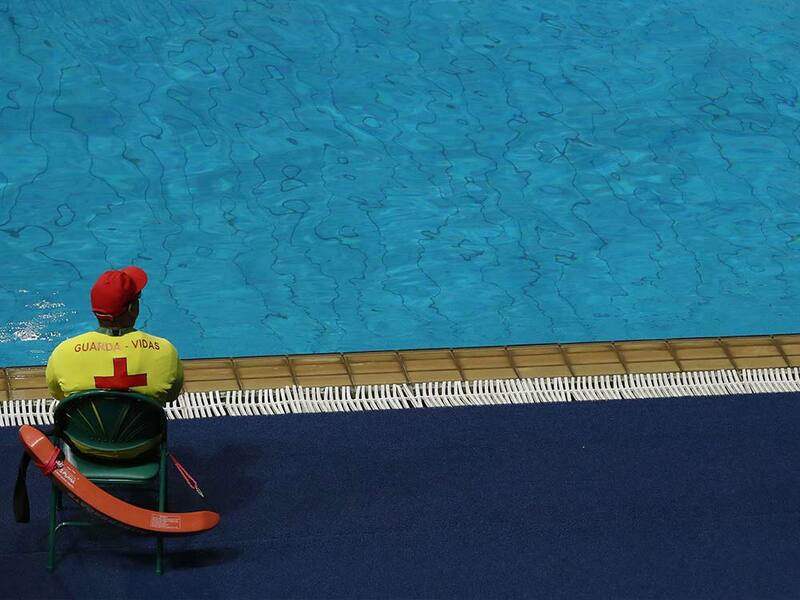 According to Brazilian law, all public pools require a lifeguard to be present – even Olympic ones. Cue a load of amazing photos of bored lifeguards watching the likes of Peaty and Phelps break records and wondering what they are doing there. Not only hilarious, but also great for making you feel way better about your own career. Shock exits were the theme this year for some of the biggest names in tennis. Despite his recent win at Wimbledon earlier this year, Andy Murray and his brother Jamie crashed out from the first round of the men’s doubles. 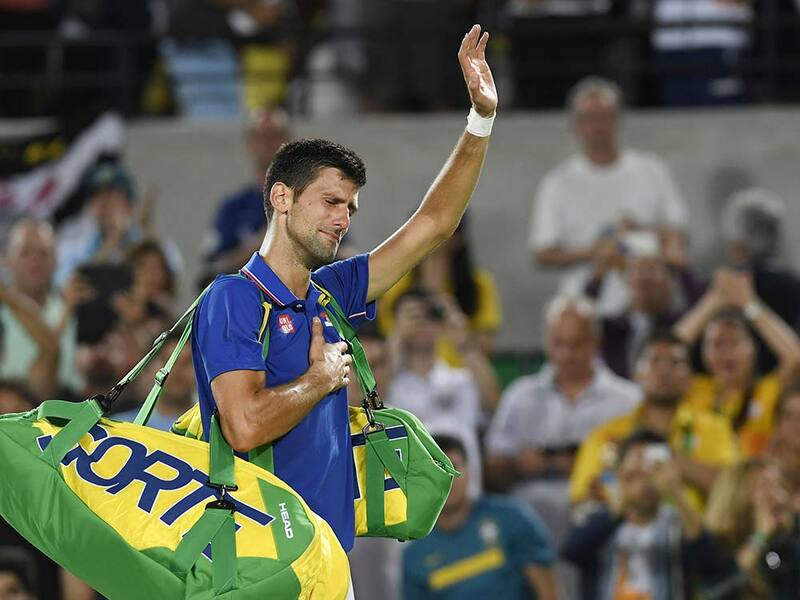 Just minutes later, Novak Djokovic was left in tears after losing to Juan Martin del Potro of Argentina. Poor Hannah Miley. Despite representing the UK in the 400m Individual Medley on Saturday, it seems she has been a source of disappointment to some people. 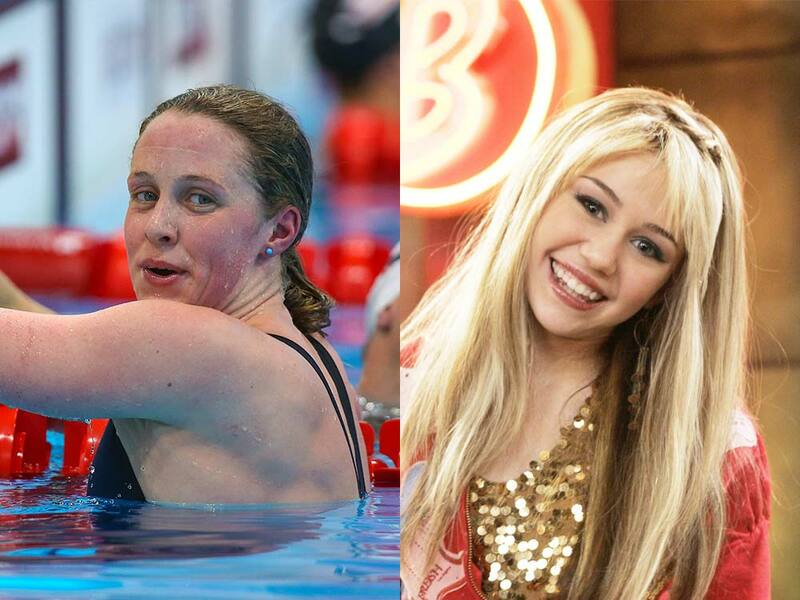 The British swimmer caused a minor meltdown on twitter when Miley Cyrus fans got the two confused. Many thought that the trending name was referring to the resurrection of Miley Cyrus’s Disney Channel alter ego, Hannah Montana. When they realised their mistake, the disappointment was palpable. Too bad she’s just an amazing athlete, hey?